I see from your Twitter feed that you are in Washington, DC for the SIOR Spring Global Conference. I wish I could have gone. What’s the most interesting thing you’ve seen? Industry meetings like this are always a great opportunity to catch up with old friends, meet new ones, and learn new info. I heard a very interesting presentation by Dr. Joe Coughlin who leads the Massachusetts Institute of Technology AgeLab. He spoke on the “longevity economy,” and you’ll hear about this in a future newsletter. 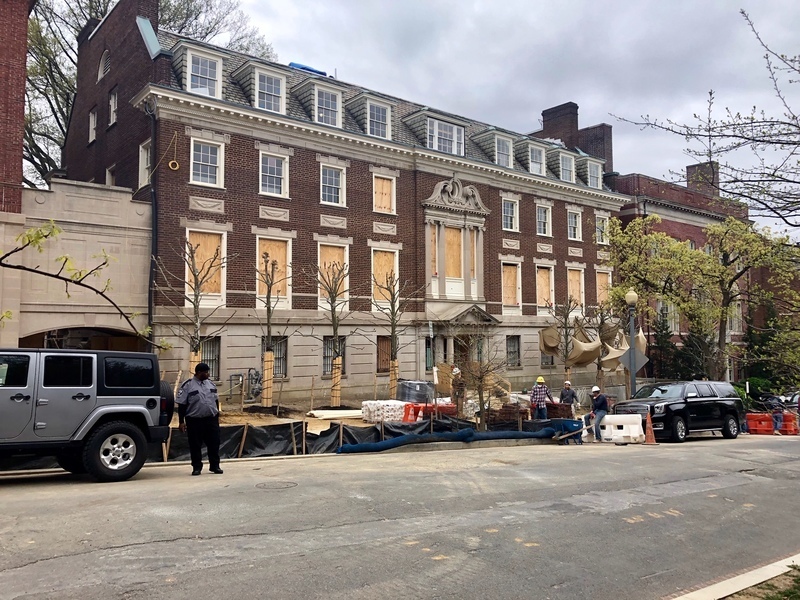 However, one of the most interesting things I’ve seen on this trip was the massive building that is being turned into Jeff Bezos’ private home (see a picture I took below.) He bought the former Textile Museum for around $23 million in 2017 – the same year Amazon announced it was looking for a second HQ. To me, this screams that the decision was already made, regardless of incentives that would be offered. And it’s a reminder of why Charlotte should keep an eye out for companies led by executives who enjoy being close to a great game of golf!